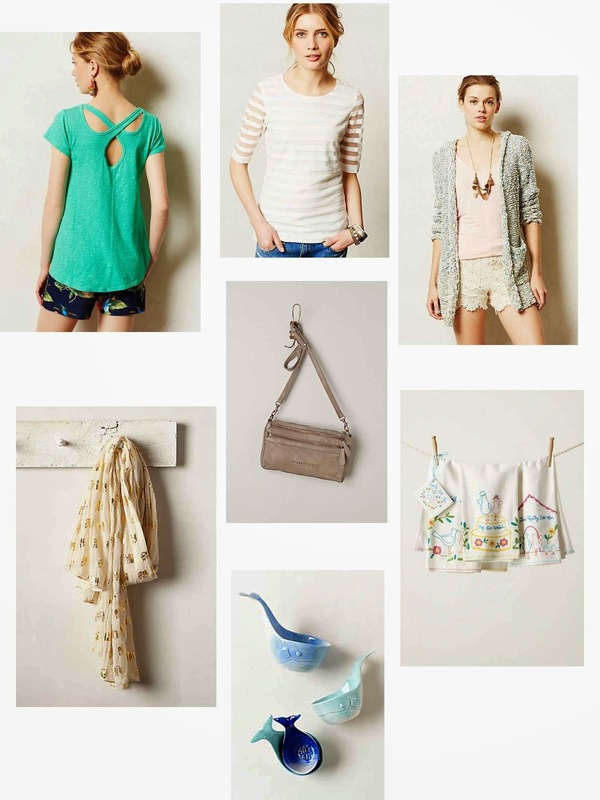 Anthropologie is one of my guilty pleasures. Next to Chapters, it's one of my favourite stores to walk around in. It smells amazing and like the Honest Toddler says, "It's like the adults in the store have died and gone to Pinterest." I was recently gifted a $150 gift card to Anthropologie, so I'm looking forward to picking up something (or some things) I wouldn't normally buy for myself. I enjoy getting gift cards, but I can never decide...do I buy a few little things, or do I get one big thing? Anyone else ever feel that dilemma with gift cards? Here's what I've got my eye on right now.